In the Mystical Philosophies, the alchemical process of the regeneration of the energies of our souls and consciousness are said to unfold through cyclic events very much as do the passing of the yearly seasons of nature as the black winter, followed by the white blossoming spring, the red hot summer, and the golden autumn when our fruit is ready for the harvest. Having passed through the “Black Stage” and the ordeals of the blackening of Winter, our seed has undergone the alchemical process of the dissolution of the “Dark Night”. 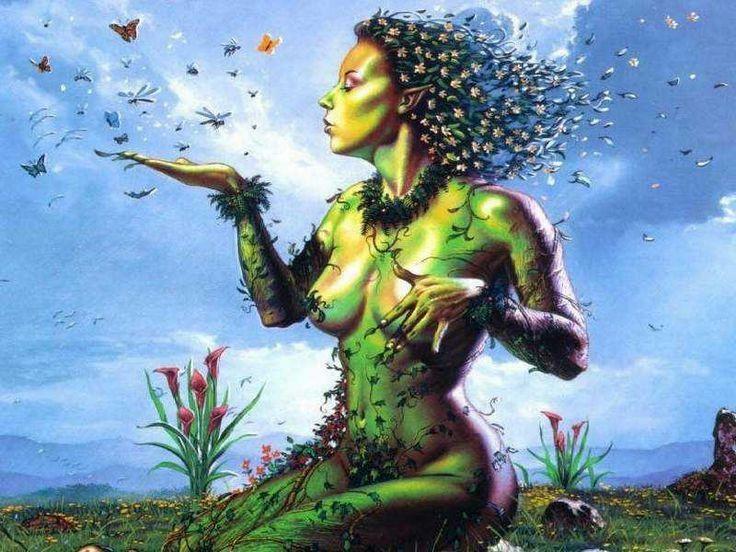 Through this darkness our seed has putrefied in our earth, died and has been opened and readied for the germination needed for its regeneration when the etheric energies of life pour out their greatest influence upon it in the Spring. Allegorically this seed, is the seed of our consciousness as the ordinary personality. Just as the seed of a tree holds within itself the potentiality of a giant tree, so too does the seed of our soul hold within itself its’ potentiality of being. This potentiality is the inner gold of the alchemists as the incarnated divine light of the master within. The black earth into which our seed was sown in the late fall is allegorically the black earth as the womb and the raw richness of our unconscious. This sowing is the “interior way”. Consciousness is turned inwards through a backward flowing way into the very depths of our being. As we are preparing to enter into the springtime months, it is a befitting time to meditate and dwell upon the allegorical symbolism of the whitening and blossoming of springtime as it is related to the inner alchemical process of regeneration. Darkness gives way to light as our days are lengthened and the coldness of the winter days slowly warm up as ice and snow melt. A true washing and purification is had through the spring time rains. Consciousness awakens collectively as creatures of all kinds wake from their hibernation. The singing of birds gives glory to this reawakening. The heat of the sun gives strength to our seed as it gathers energy and breaks through the earth having conquered death. All this of course very allegorically corresponds mystically to our inner awakening during our own inner and philosophical springtime. As we concentrate our consciousness upon our inner spiritual center, there, our inner spiritual Sun will come into focus and warm our inner being giving strength to the inner seed as our souls sown in our earth as our body. In the “The Hermetic Tradition”, Julius Evola says that “Spring, resurrection, light and life, flowering and birth; these are the expressions of the active ecstasy that uplifts the human condition as is expressed in the alchemical art”. 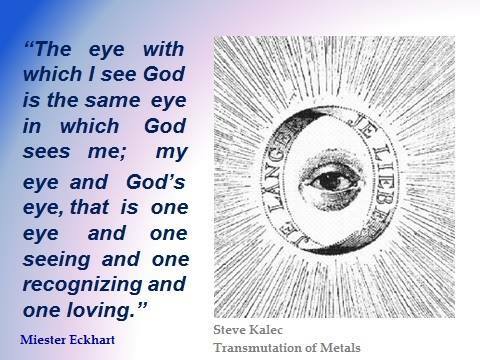 This is the experience of the alchemical process of the “whitening” as a spiritual purification. 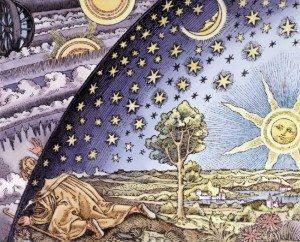 The alchemists say that this is the life giving Magic Light drawn out from the center of the elemental cross. Such is the power that is achieved through the mastered techniques of inner spiritual exercises. This light is truly a light that brightens the inner space of the subjective self. This state of illumination produces an inner rejuvenating magnetism, and one can feel its force as an inner vitality, extremely clean, pure and as the clearest of water flowing through one as the uplifted universal life force. It is a celestial spirit as a luminous essence perfectly lucid, brilliant and transparent. Alchemically, this is our first order of the transmutation where our inner darkness, as the unconscious, is transmuted into the inner reflective light of our living silver. One cannot doubt this blessed event because it is marked by a feeling of sublimation, elevation, ecstasy, inner most joy and a sense of immortality that cannot be put into words. One simply feels eternity as the universal spirit shines and flows through him. It is said that, “when the white appears in the materia of the Great Work, life has conquered death, and our King has been resurrected from his tomb.” One is simply made alive with life itself. Because this event is belonging to the inner subjective self, it is said to be the regiment of the feminine aspect of the universal energies of life. This aptly corresponds to the feminine nature of the action of spring. The profound spiritual truth of this rebirth is most beautifully expressed by the alchemists as the “Divine Water” and representing the feminine energies of God. 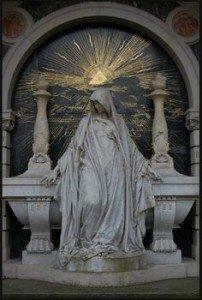 It is life and it is represented as a virgin who is mother of that which is reborn. From her comes the “Virgin’s Milk” that feeds the inner child. Out of her through an “immaculate conception”, a child is conceived. This conception is understood as an auto-genesis through a spiritual endo-genesis due to her eternal striving to be. It manifests through an inner spiritual heat generated through a passion and desire to become. The child is symbolic of the mystic center as the youthful reawakening force of the alchemical process. Let us therefore in this Springtime reflect on the revival of the energies of life as they correspond to our inner revival and regeneration of the spiritual energies within our souls and consciousness. Let us also reflect for a moment on the words of a classic song called “Matinata”, whose theme aptly expresses the ecstatic awakening of our souls and consciousness as we behold our inner springtime. You’ve chased all the darkness away. You’ve opened the gates to a new day. A butterfly is flapping about. Your beauty is beyond doubt. Let me embrace you, I’ll sing along . I’ll sway with your flowers. Morning I’m singing your lovely song.